The polarised presentation of emotions in campaigns has repercussions in society. In order to analyse the importance of psychology in regards to campaigning, it is necessary to bring theories of depth psychology that have discovered the profound explanations of people’s behaviour to understand what lays behind certain types of actions in society. C.G Jung, was an analytical psychologist whose contributions are and will continue to be profoundly respected in the contemporary world, as the discoveries he made about the human psyche never fade despite space or time. Jung discovered that the entirety of our experience as human beings could be compartmentalised in different entities that he called archetypes, which are “irrepresentable … and evident only through its manifestations” (Samuels, Shorter and Plaut, 1986, p26). In other words, motherhood, for example, could only be understood by an image that represents it. What do you think of when you think about the word ‘shadow’? What words do you relate to the word ‘shadow’? Answering these questions can give you hints of what the shadow archetype embodies. When analysing people’s life stories, and the psychological implications of their personal reactions in society, C.G Jung encountered that people tend to project on the outside what they haven’t yet recognised in them (Jung, 1964). He decided to call the things that we haven’t yet recognised about us as the shadow archetype in our psyche (Jung, 1945 cited in Samuels, Shorter and Plaut, 1986). ‘Carl Jung – Shadow Projection’ -Excerpt from Man & His Symbols (Audiobook) by Carl G. Jung on the shadow aspect of the psyche. The shadow archetype represents that place in which not only the darkest bits of ourselves, that we haven’t yet recognised, reside, but also, where all those talents that we haven’t brought yet to the light live. Recognising the appearance of the shadow archetype is crucial to understand current campaigns that appeal to emotions of love and reject those of hate such as #stopfundinghate, #lovetrumpshate and #hopenothate. The acknowledgement of emotions such as hate is necessary as much as we need to feel emotions such as love, in our lives. 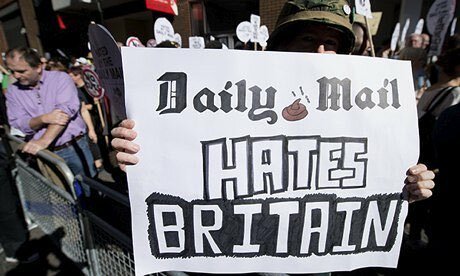 The risk we face when supporting campaigns such as #stopfundinghate #lovetrumpshate #hopenohate is that instead of acknowledging, embracing, and understanding emotions, such as hate, we reject them, ignore them, and put them out of the spectrum of ‘what is acceptable’. By recognising the shadow archetype in our interactions and interpretation of society, we admit emotions such as hate, disgust, aversion and therefore concede them a place in the world in order to be able to integrate them us part of our experience as human beings in this Planet. We need to recognise that what we project on the outside has a bit of who we are. If, instead of acknowledging, accepting and therefore integrating the emotion of hate what we do is to reject it, ignore it, buried it, and try to take it out of society, what we do is to make it bigger, angrier, stronger, and therefore it will haunt us, over and over and over and over again until we recognise its necessary presence in our lives, even by means of force, to continue evolving. We could decide if we want those transitions between hate to love to be smoother, or to be something painful, forceful, hurting, dreadful, and excruciatingly frustrating. Until we understand that the changes we want to see outside begin inside of us and that by recognising that what we still project on the outside, has a bit of who we are, we will continue chasing those who represent the awful lot of emotions we don’t want to feel inside. We can also try to produce campaigns that aim to educate people on the importance of creating a more welcoming and compassionate culture. Compassion has been understood as one of those emotions that doesn’t judge, doesn’t criticize and instead, observes, reflects, and delves into situations with and open mind and heart as true love does. What would you do today to be more compassionate with those who seem to hate? Please leave your comments and reflections below. Thank you! Samuels, A., Shorter, B. and Plaut, F. (1986). A Critical Dictionary of Jungian Analysis. Thank you for this post. I seem to remember that you gave an example in class of a campaign that supports the creation of a more welcoming and compassionate culture – can you remind which campaign this was? Thank you. Dear Frances, thank you for your kind comment. I’m glad you read the post and that it reminded you about the video I shared with you.